Tajikistan – the smallest country in Central Asia with a population of 8 million people, rarely makes international news. However, the events of recent months there have attracted more and more attention. In the long term, Tajikistan is interesting because it is a strategic partner of China with whom Russia is currently forging friendly relations. But at the moment there is another very important reason. 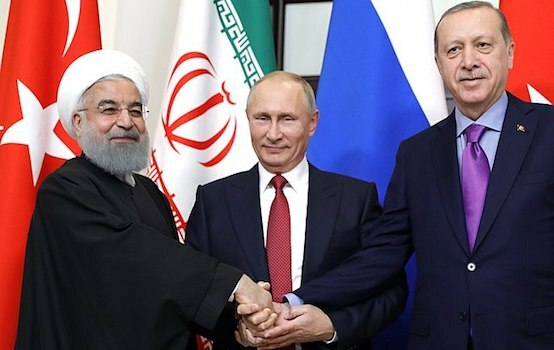 That being the war against international terrorism, which has entered the Russian Federation, following the commencement of open hostilities in Syria against the Islamic state. This organization is now recognized as the most dangerous terrorist group in the world, and its activity is prohibited in many countries. It’s now more important than ever for Russia to be flanked to its southern and eastern borders by reliable allies, one of which is the Republic of Tajikistan, a Collective Security Treaty Organization (CSTO) member state. The troubling events of recent months have shown that there are real threats to the stability in Tajikistan, both external and internal. Among the most pressing internal threats is the recent uprising by the former Deputy Defence Minister, Abduhalim Nazarzoda. The external threat is the fighting in Kunduz in Afghanistan, only 70 kilometres from the Tajik border. Geographically Tajikistan borders with Kyrgyzstan, Uzbekistan and China, as well as Afghanistan, where there are active militants of the Islamic state and other terrorist groups. Furthermore the length of the Tajik-Afghan border is about 1.5 thousand km and passes through rugged mountainous terrain, which further complicates its security. However, if you possess the knowledge of the terrain, it is not difficult to pass from Afghanistan to Kyrgyzstan via the Tajik mountain trails. What’s more, the mountainous terrain perfectly facilitates hidden movement. Therefore, there is theoretically a threat to China too. It is for this reason that all of Tajikistan’s partners, both the CSTO member countries and China, are anxiously watching the events unfolding on the Tajik border. The capture of the Afghan city of Kunduz on Sept. 28, 2015 was one of the most large-scale stunts made by the Taliban (whose activity is prohibited in the territory of the Russian Federation) in the last decade. Kunduz, which is home to more than 100 thousand inhabitants, is in an important location, where there is a direct route to the Tajik border. Tajikistan is currently actively reinforcing its border, but the country has limited resources: There are currently 16 thousand soldiers involved in guarding the Tajik-Afghan border. Unfortunately, their weaponry and military equipment leaves a lot to be desired. 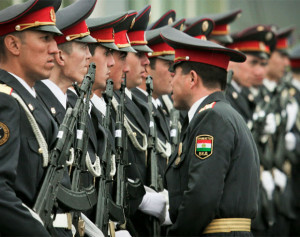 Obviously, it will be very difficult for the Tajik army to ward off a potential attack alone. This means that in the event of an attack by terrorist groups it is highly likely that they will turn to the CSTO countries. Joint action by the CSTO member states in the fight against terrorism and extremism were discussed at a session of the CSTO Collective Security Council on September 15, 2015, which was held in Dushanbe, the capital of Tajikistan. The session was opened by President Emomali Rahmon, who chaired the CSTO Collective Security Council in the inter-sessional period of 2014-2015. The main topic of the session was the strengthening of the CSTO forces’ military capabilities. Defence Minister of Tajikistan, Lieutenant-General Sherali Mirzo, delivered a report on the readiness test of the Collective Rapid Reaction Force (CRRF). CSTO Joint exercises were held on 12-22 May 2015 at the Harbmaydon training ground in Tajikistan, only 80 km from the border with Afghanistan. More than 2.5 thousand soldiers from different CSTO countries, including Russian paratroopers and 200 items of equipment were dispatched to Tajikistan. The fact that a division of Chinese troops is now involved in guarding he Tajik-Afghan border is of particular note. This is possible thanks to the long-standing friendly relations between Tajikistan and China and because China is well aware, that the threat from Afghanistan can compromise its own security. Moreover, China is interested in protecting its infrastructure projects related to the economic belt of the Silk Road, which are being built on the territory of Tajikistan. Also, let’s not forget that the largest Russian military base outside of the Russian Federation has been operating in Tajikistan since 2004 and its tenure has been extended to 2042. Thus, Tajikistan has something to counter threats from the outside. 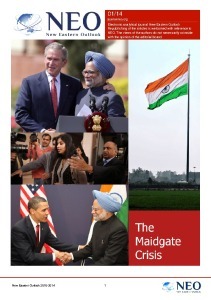 However, all is not calm inside the country either. In Tajikistan and neighbouring Uzbekistan, the terrorist organization, the Islamic Movement of Uzbekistan, is active and they have recently joined the Islamic state. What’s more, the radical party, Hizb ut-Tahrir, is actively working to destabilize the situation in the country. The population of Tajikistan is mostly Sunni Muslim and they are primarily targeted by extremist propaganda. To illustrate the seriousness of this threat, it is enough to mention that in May 2015 Colonel Gulmurod Halimov, former commander of the Tajik riot police, joined the Islamic State. 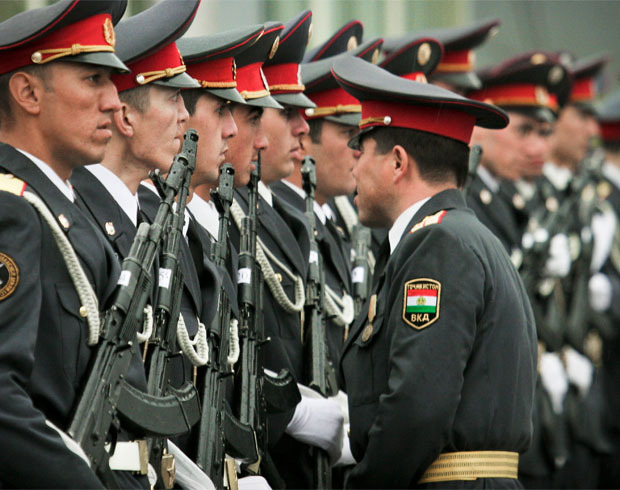 Moreover, on September 4, 2015 the Tajik media reported on the armed uprising of the aforementioned Abduhalim Nazarzoda, the former deputy defence minister. In the course of the uprising, 129 people were detained and 28 were killed. According to the media, A. Nazarzoda, former field commander of the United Tajik Opposition, who fought against the forces of the Supreme Council until the peace treaty of 1997, was a supporter of the Islamic Renaissance Party of Tajikistan. Until August 2015 it was the only legal religious political party in the territory of the former Soviet Union. In late August, its activities were banned on charges of extremism, and some consider A. Nazarzoda’s actions a response to this, but there is yet to be any reliable evidence of this. The banning of the Islamic Renaissance Party’ activity and the arrest of its leaders are linked to the fight against radical Islam, which was launched by Tajik authorities. However, it is believed that excessively harsh actions made by the authorities could promote the radicalisation of Tajik Muslims. In particular, the leader of the banned Islamic Renaissance Party, Muhiddin Kabiri, who is now in hiding abroad, expressed the fear that after the party’s ban, many members may join radical movements. As a consequence, the authorities’ actions would only undermine the delicate balance that has developed after the Civil War of 1993-1997. In conclusion, I would like to note that in the event of an internal conflict in Tajikistan, agents of international terrorism would immediately take advantage of the situation, and then the situation in the country would become truly critical. In this case, Russia should pay the utmost immediate attention to the events unfolding in Tajikistan, and furthermore, should not preclude the possible eventuality of providing military assistance in order to help stabilize the situation in Tajikistan, which is Russia’s main ally in Central Asia.